Tip: Our Brexit page keeps you up-to-date on all of the Brexit developments and their implications for biopharma. US FDA approved just six new molecular entities in the first quarter of 2019, which seems like quite a letdown after a record-setting year in 2018. But don’t despair: the pattern of NME approvals was back-loaded a year ago – and should be again this year. Sherman, who left the No. 2 post at FDA in January, is working part-time at Duke-Margolis and serving as a consultant to Medidata Solutions. 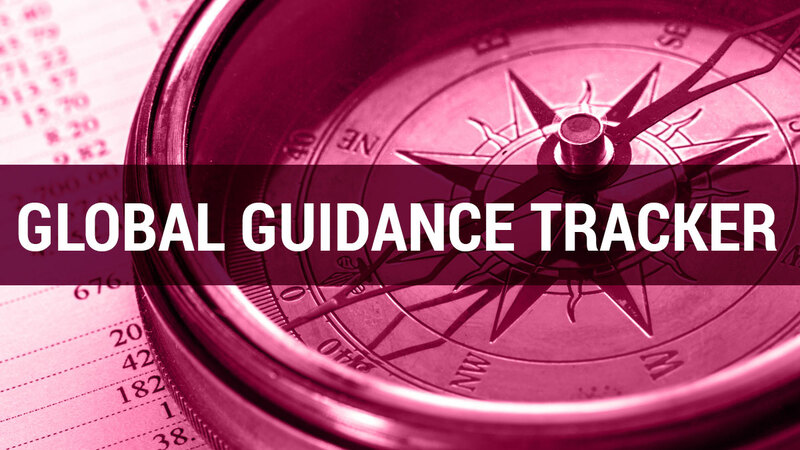 Stay up to date on regulatory guidelines from around the world with the Pink Sheet's Guidance Tracker. The complete Global Pharma Guidance Tracker, with sortable and searchable listings going back to 2014, is available online. Manufacturing is the engine room of the pharmaceutical industry. Ultimately, a medicine has little value if it does not reach patients on schedule, in the required quantity and quality. Download this whitepaper which discusses time-critical scheduling in drug production. This email address is already in our system. Please click on the button below to sign into your account and update your email preferences. In pivotal trials for Alnylam’s Onpattro and Ionis’ Tegsedi, statistically persuasive results on a patient-reported, quality-of-life measure were needed to show the drugs had a meaningful benefit on how hATTR patients with polyneuropathy feel and function, US FDA said. Execs offer (mostly) consistent responses as congressmen come out of the woodwork to grill the PBMs on their business practices. Industry urges US FDA guidance on developing plain language summaries, which could help improve the release of clinical trial results to patients. In sharp disagreement, FDA says postmarketing trial shows risk of taking alcohol with the female sexual dysfunction drug; Sprout will appeal agency's decision. Rebate Reshuffle: Could Pharma Foot The Bill To Offset Higher Premiums? Bernstein Research analysts said CMS could charge pharmaceutical manufactures a fee to offset increases in insurance premiums anticipated from the elimination of rebates in a "win-win" move. Faced with a proposed regulation that aims to eliminate rebates and an upcoming hearing on Capitol Hill, US pharmacy benefit managers including OptumRx are working to validate the concept of rebates when redirected to patients at the point-of-sale. A recent survey shows that pharmaceutical manufacturers are increasingly interested in adopting continuous manufacturing. Most respondents say they plan to use this mode of manufacturing for their new drugs. The organization that works to harmonize drug review requirements across a growing number of regulatory authorities aims to partner with non-profit groups to train regulatory authorities and industry on its guidelines, starting with guidelines on stability testing, good clinical practice and good manufacturing practices for active pharmaceutical ingredients. Jury convicts Pharmakon CEO of conspiracy to defraud the FDA and nine counts of adulterating drugs. The firm allegedly ignored and tried to cover up dangerously out-of-specification potency testing results for morphine and other compounded drugs. In one case, providers resorted to naloxone to rescue an overdosed infant.